Until a century ago, Karl Marx was an unpracticed intellectual, a prolix babbler whose thoughts remained an ideal rather than a reality. Then came the Bolshevik Revolution. On November 7 (October 25 in the old Russian calendar) the Soviet Union was effectively born. This event may have been as momentous as the war which spawned the first Communist state. Tens of millions of people died as communism transformed nations. We continue to live with the consequences of Marxism today. Life was good in 1914. The industrial revolution delivered entire populations from immiserating poverty. Liberal currents affected even the great autocracies of Austria-Hungary, Germany, and Russia. The future beckoned. But on June 28 Austro-Hungarian Archduke Franz Ferdinand, heir to the venerable Hapsburg throne, and his wife Sophie were visiting Sarajevo in the recently annexed province of Bosnia. In a plot backed by Serbian military intelligence, the young Serbian nationalist Gavrilo Princip assassinated the pair, setting in motion diplomats and statesmen, generals and admirals, and armies and fleets around the globe. War came in August. Russian peasants died in a war started by aristocrats for reasons no one truly understood. This was the central tragedy of the conflict. Before troops began marching in August 1914, common people’s lives were improving. Even those at bottom in the great Tsarist despotism were doing better. Then came the continental war. Nowhere was the tragedy greater than in the mysterious, mystical, antiquated Russian Empire. For a long time St. Petersburg was a force of conservatism, even reaction, opposed to Western liberalism and especially the French Revolution. However, Imperial Russia eventually made common cause with France, the paragon of revolution. But the former was a giant with feet of clay. The regime staggered along unsteadily amidst peace and prosperity. Then came June 28, 1914, when a Serbian terrorist assassinated the heir to the Austro-Hungarian throne. Austro-Hungary followed an ultimatum against Belgrade with a declaration of war, dragging in Russia, which defended Serbia. Russian elites had various grievances against Germany, but none could justify war. When pressed to mobilize the army, Tsar Nicholas for a time temporized, at one point declaring that “I will not become responsible for a monstrous slaughter.” But on July 30 he surrendered to St. Petersburg’s clamorous war party. Alas, the losses in manpower and materiel were horrific. By the end of 1916 Russia had lost some five million men, killed, wounded, captured, and missing. In March 2017 (February in the old calendar) liberals and moderate socialists staged a revolution, forcing the Tsar to abdicate. But the Provisional Government’s control was tenuous and it continued the war amid a series of revolts, mutinies, protests, and disturbances. Which opened the way for political radicals, most importantly the Bolsheviks, led by Vladimir Ilyich Ulyanov, or Lenin. He began the war in exile in Zurich, Switzerland, but Germany arranged for his passage home to spread the revolutionary virus. He initially had little success, but understood that the people were desperate for peace, land, and food. On November 7 Lenin and his colleagues staged what amounted to a coup against the hapless Provisional Government. The Bolsheviks outmaneuvered more moderate forces on the left, made peace with Germany, and won a bitter, four-year civil war against the counterrevolutionary Whites. 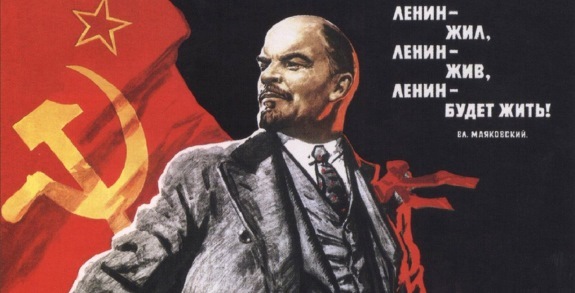 Lenin then set the repressive foundation of the brutal Soviet state. Lenin died in 1924, leading to a bitter succession battle won by manipulative Joseph Stalin. Under him millions died, including many of his supporters. Although revolutionary fervor had dissipated, the U.S.S.R. staggered along, murdering and impoverishing its people, until Christmas 1991. The Soviet flag finally was lowered from the Kremlin for the final time. Scholars figure that Communism killed between 8 and 61 million Soviets; 15 to 20 million seems most accurate. Estimates of the total number of dead due to Communism—not counting from wars—run from 85 million to upwards of 200 million. Communist rulers both murdered promiscuously and implemented policies which resulted in mass death, through famine, for instance. The hardship, including poverty, starvation, oppression, and inhumanity, is incalculable. Equally brutal was the assault on the human spirit. Marxism as adapted by Leninism squeezed the very life out of people. History is a long series of “what ifs?” Communism was not destined to take over Russia, transforming the 20th Century for the great ill of mankind. But today we must confront the consequences of the birth of the Soviet state a century ago.